Not being able to hear your friends and family, the television, the radio, and the sounds of nature are losses that no one should have to experience as a result of not being protected from excessive noise in their work environment. 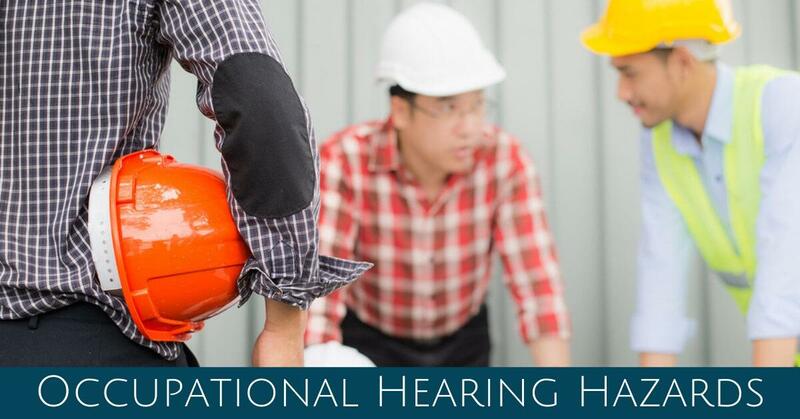 Although age-related hearing loss (presbycusis) is common among older Americans, hearing loss can occur prematurely from excessive exposure to noise in the workplace. Hearing loss is a serious hazard that is often painless, progressive, and permanent. Loss of one’s hearing reduces the quality of life, while being unable to hear warnings and other signals at work can create serious danger. Excessive noise levels have also been associated with digestive problems, irritability, loss of concentration, and even high blood pressure. All of these effects can create their own adverse health effects and hazards, both at and away from the workplace. Manufacturing equipment, motor vehicles, heavy construction equipment, power tools, hand tools, aircraft noise, weapons, and even lawn maintenance equipment, are just some examples where occupational noise may be encountered. It is very common for people to be exposed to unsafe noise levels that can result in hearing loss and over an extended period of time this will result in hearing loss. Recognizing the problem may be as simple as spotting the fact that a worker is unable to properly communicate with another worker a few feet away. The employer must be able to determine how much noise is in the workplace in a quantifiable manner. Measurements can be done using various sound-measuring devices, including dosimeters. A noise dosimeter continuously measures the sound levels to which an employee is exposed throughout the day, using a microphone that is positioned near the ear. It provides an 8-hour time weighted average (TWA). The Occupational Health and Safety Administration dictates that, wherever feasible, controls can be accomplished through engineering methods and administrative controls before the use of hearing protection devices. Examples of this are engineering controls that include using quieter manufacturing methods, properly maintaining equipment, eliminating a noise source completely, or the use of sound-damping technology. When engineering controls cannot entirely mitigate the noise exposures, the next step is to use administrative controls. Administrative controls may include automating the process to remove or limit the time the employee must work in a particular area, changing operating schedules (such as using noisy equipment on shifts when there are fewer employees), and rotating employees out of noisy areas. The last line of defense is the use of hearing protection devices. When noise exposures are greater than 90dBA as an 8-hour TWA and engineering and administrative controls have not reduced the overall exposure adequately, then hearing protective devices are required. There are advantages and disadvantages associated with each line of defense. Engineering controls can be expensive over the short term, yet they may be the most economical method of choice over the long term because, once the problem is engineered out, further investments will be minimal. Administrative controls require very formal procedures, must be comprehensive, and require that management and employees comply with the procedures implemented. Finally, a Comprehensive Hearing Conservation Program requires continuous investment and time, which over a long term can amount to considerable and recurring expense. All costs associated with the hearing conservation program are to be provided at no cost to the employee. Assuming that not all the noise sources can be engineered out or exposures reduced through administrative controls, hearing protection devices must be considered. Hearing protectors are an accepted method of protecting employees’ hearing. Hearing protection devices include earplugs, earmuffs, semi-aural bands, and electronic devices that electronically block out noise. Hearing protectors used in the workplace must have a Noise Reduction Rating (NRR) in accordance with testing set forth by the Environmental Protection Agency. One of the most important things for a hearing conservation program to be successful is to get employees to be dedicated to the program. This can be done with training. When the employees understand what the consequences of losing their hearing can be, it is more likely they will comply with the hearing conservation requirements. Are you concerned about your hearing abilities? At Beverly Hills Hearing Center, we provide comprehensive hearing health care, from hearing tests to hearing aid fittings. If you work in a noisy industry, it is beneficial to your hearing health to establish a baseline of your hearing abilities with a comprehensive exam. Contact us today to schedule an appointment.